You've cut out extra calories and have started hitting the gym almost every day, but you still cannot seem to lose weight. It could be that you aren't burning enough calories with your workouts, but not eating enough, as well as emotional factors, can stall your weight-loss efforts as well. See a doctor to reassess your habits and make the necessary changes to get healthy and drop those pounds. To maintain your weight and cardiovascular health, you will need to exercise for at least 30 minutes three days a week. But if you are trying to lose weight, you may need to exercise for an hour or more on most days of the week. This means working out at a moderate-to-vigorous pace and including both cardio and strength-training activities to build muscle and banish fat. If you have been working out for some time and are not seeing results, try increasing the intensity of your routine or adding 15 minutes to it to burn more calories. To lose weight, you need to burn off more calories than you eat, but eating too little can have adverse effects. Skipping meals and drastically reducing your calories can force your body to store up calories instead of burning them, making it difficult to get rid of that excess fat. You should eat no less than 1,200 calories a day if you are a woman or 1,500 if you are a man. Also try eating small meals frequently throughout the day to keep your metabolism going and help prevent you from feeling too hungry. Your attitude, state of mind and even sleeping habits can affect your ability to drop pounds. Stress, boredom and being frustrated can cause you to overeat, slack on your workouts and otherwise wreak havoc on your waistline. Not getting enough sleep can also negatively impact your weight, since the amount of sleep you get may have a direct impact on the hormones that regulate your appetite. Try meditating or doing yoga to calm down and get some exercise at the same time, and aim to sleep seven to nine hours every night. If you have been trying to lose weight for a few weeks with no results, see a doctor. 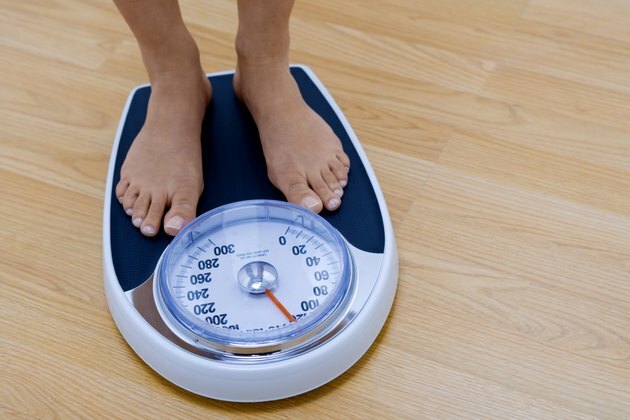 You may have an underlying condition that is keeping you from dropping pounds. However, you may also need to consider that your body is already at the weight that is right for you, and trying to lose more may be unrealistic and unhealthy. Your physician can help you determine your ideal body weight, as well as give you suggestions on how to drop more pounds if necessary. Can I Lose Weight by Working Out Daily and Eating Under 1,200 Calories a Day?